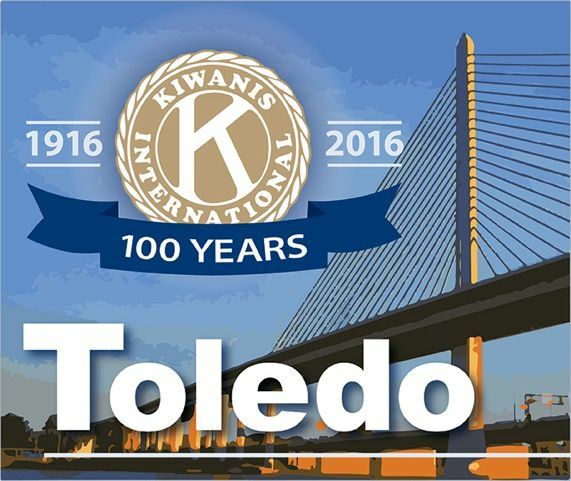 "Serving the Children of Central Toledo since 1916"
The Kiwanis Club of Toledo is a thriving organization of service-minded men and women who respond to the unique needs of the children of central Toledo. This year we are celebrating our 100th Anniversary! Our members are ordinary people who perform extraordinary "hands-on" work. Our club is a snapshot of the Toledo community, with members from all walks of life and at every step of the career ladder, unified in their belief that children and our community benefit from the efforts of a proficient group of caring and involved volunteers. You are invited to join us any Wednesday at noon, in an atmosphere of fun, learning and fellowship, at the Toledo Club in downtown Toledo. Can't make weekly lunch meetings? No problem. Our Affiliate membership option allows you to attend meetings when you can and keeps you in the loop about our service projects and social events. Click on "Join Us" to receive more information. Please consider making a general gift to the Kiwanis Club today! For Centennial Celebration gifts and sponsorships, please click on the Centennial Celebration Tab to the right. THANK YOU!